You gotta know when to hold ’em and when to fold ’em. APL on weekly. Members Only. Members Only | Join us for hours of fun three times a week! 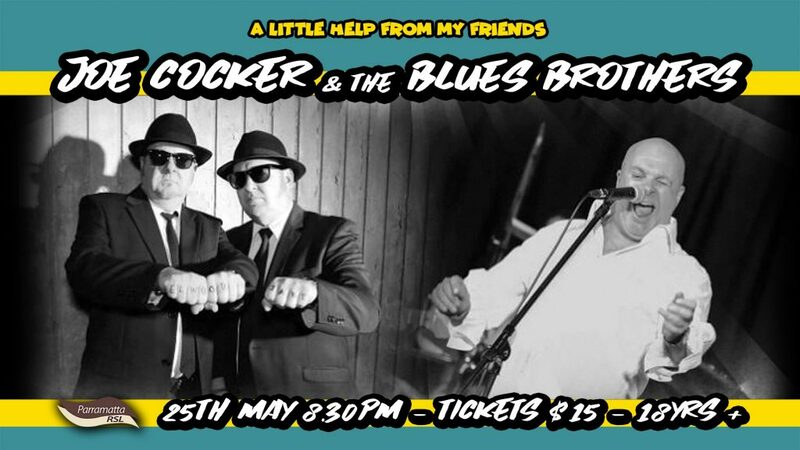 The Show Features Tributes to Two of the Music industry’s Most Loved and Iconic Acts, Joe Cocker and The Blues Brothers. The First Half of the Show features a Tribute to Joe Cocker and is Performed by Marc Tribbia one of Australia’s finest Cocker Impersonators. Marc Has performed Joe Cocker all of Australia and is as close as you get to Cockers unique Voice and Stage antics. Playing all your favorite Joe Cocker Hits including Leave your Hat On, The Letter, Feelin Alright, Delta Lady, Hitchcock Railway, You are So Beautiful. The Second Half of The Show Features The Oz Blues Brothers. You will be amazed as the Show is fully scripted and Choreographed, which will have the audience fully involved and dancing in the aisles. Parramatta RSL is the premier hospitality venue that caters for all of the community. The venue is well-known for after work drinks, live music and corporate events.